At issue are China’s notorious barriers to competitive foreign products — high tariffs and a maze of administrative obstacles and industrial policies that promote indigenous technology-intensive activities through subsidies, requirements that foreign companies form joint ventures and transfer technology to access its markets, and rampant theft of foreign intellectual property through state-assisted industrial espionage and counterfeit goods. Frustrated that negotiations — such as the Mar-a-Lago process — failed to yield meaningful offers from China, Trump levied 25% tariffs on $50 billion of imports from China this summer. In September, he added 10% on another $200 billion and in January, those are expected to escalate to 25%. Since June 1, the yuan USDCNH, +0.2380% is down more than 7% —potentially obviating most of the effects of the 10% tariff on $200 billion. China’s provincial governments and state banks can ladle on subsidies and no-payback loans to keep businesses afloat and exporting. And Beijing can undertake selective liberalization to attract foreign investors. For example, Exxon XOM, -1.23% is working on a deal for a petrochemical complex in Guangdong without the usual joint-venture partner. Beijing can roll back these policies after tensions ease but it is miscalculating. Regarding the latter, Beijing has imposed an Orwellian order to quell minority opposition and impose strict adherence to behavioral norms in its Western provinces and elsewhere with facial recognition and ubiquitous cameras — don’t jaywalk if you want to rent an apartment! 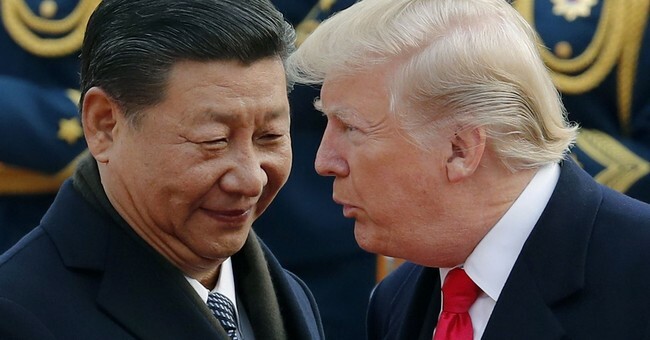 Western leaders don’t like how China is using predatory trade and industrial policies to seize leadership — and what it will do with it — anymore than do Trump trade hawks Peter Navarro and Robert Lighthizer. Differences with U.S. allies are over tactics. We ran into the same problem back in the 1980s and ‘90s when we liberalized trade in the North American auto sector — the Big Three had configured their investments to conform to pre-NAFTA production requirements imposed by Mexico and Canada to access their markets. Now, the Business Roundtable is screaming about Trump’s use of tariffs to open China. At that point, Trump, or whoever succeeds him if he loses the 2020 election, could manage the commercial relationship with China absolutely — tougher tariffs and quotas to force down the trade deficit, strong financial sanctions, and limits on Chinese students at U.S. universities. And demand that our trading partners expel China from the WTO lest the United States withdraw from the global trading body.